Currituck County's Sound Park is located in Point Harbor, NC, just west of the Outer Banks and the Wright Memorial Bridge. Here you’ll find what’s considered the best access to kayak fishing along the bridge - just a one-mile open water paddle away. There’s also plenty of free parking available. Other park recreation activities include bike and walking paths, baseball fields, tennis courts, and lots of open space for kite flying, soccer and other games and sports. The playground area is equipped with covered picnic tables, restrooms and a grilling area. And there’s also a pier and boat launch. A special highlight and result of the Design/Build process is Sound Park’s 5000 square foot concrete Skatepark - home to the “Carolina Flyout.” It features multiple levels with Amoeba Pool, fun box, mini-bowl, banks, rails and clamshell pocket. To reach the park when heading across the bridge north toward Virginia, take a right just past the BP gas station, then drive a short distance to the sound. 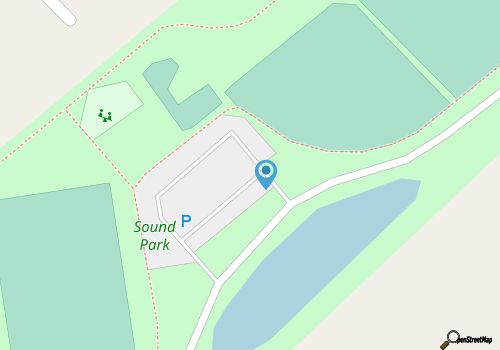 There's no street name, but you'll see the Sound Park sign at the entrance. The park is open every day until sunset, but no trespassing is allowed after dark. Note that the rough concrete boat ramp can be hard on kayaks, so it’s best to bring a protective rubber pad when launching.